Today, I hope to do some podcasting with my sixth graders, using Soundcloud, for the National Day on Writing (which officially was yesterday, I think, but the Sunday spills over into Monday in my mind). 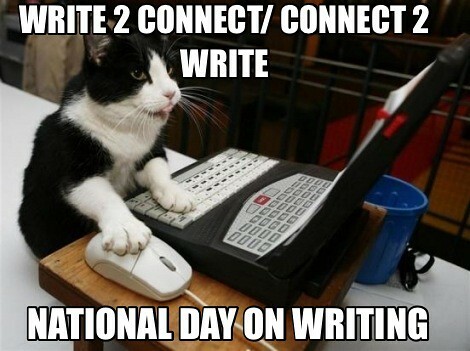 This year’s theme is Write to Connect (or Write2Connect), and I played around with some comics and memes yesterday, sharing out into various online spaces to spark the ideas of writing. 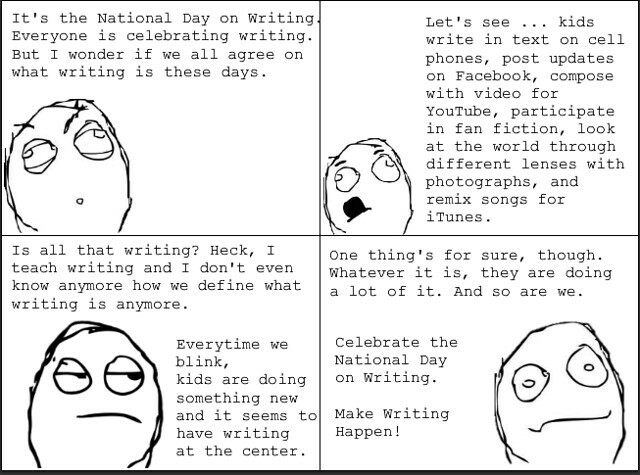 How do you celebrate writing? This entry was posted in National Day on Writing. Bookmark the permalink.